Body Brushing has been a part of my daily routine now for close to 10 years! 10 years! I don't think anything else have ever been a part of any routine for that long! I remember having this funny little palm shaped brush in a gift set I got one Christmas and having no idea what to do with it. Insert a random article in a random magazine that talked about something called 'body brushing'. Well, seen as though I had the tool to hand I thought I might as well give it a go - and I haven't looked back since! You know how you exfoliate your face? Or buy those exfoliating body washes to use in the shower? It's similar to that, only...drier. Using a stiff bristled brush, you brush from your feet upwards, in small circular motions, working towards the heart. This has a multitude of benefits for your skin and takes no more than 3 - 5 minutes to do your whole body. From the bottoms of your feet right up, stopping at your neck. Avoid the face - you won't like it and it'll do more harm than good!. Why should I bother body brushing? 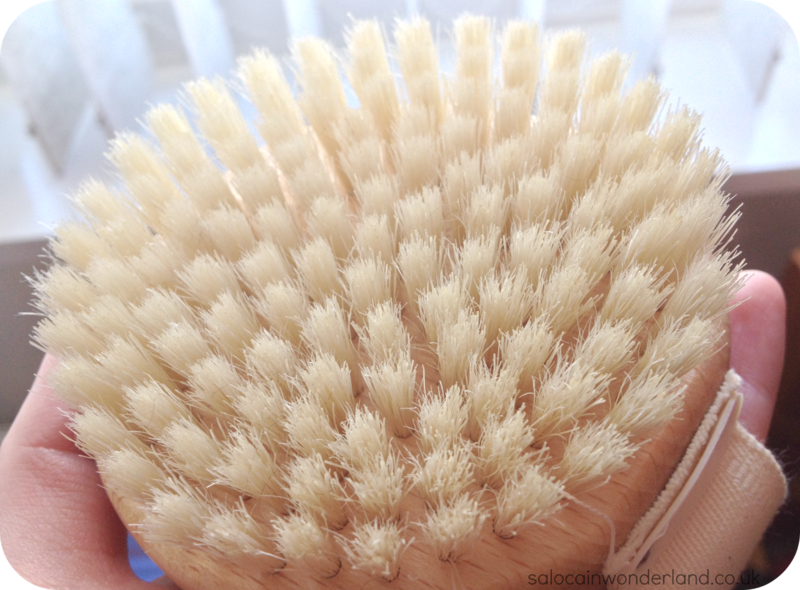 Here's 5 reasons why you should start body brushing today! 2. Boost circulation. Brushing in circular motions towards the heart improves blood flow to the surface of the skin which leaves skin looking radiant and healthy. 3. Prevents ingrown hairs. Because of the stiff bristles, as your brushing along your legs, bikini line, under arms etc, it will help to loosen up and bring to the surface ingrown hairs. By helping to remove the dead skin on the top layer of your skin, it's also preventing these skin flakes from clogging the follicles and reducing the chance of ingrown hairs. 4. Improves your (fake) tan. By removing all the dead skin, your fake tan is going to be applied to happy, healthy, fresh skin, reducing streaks and randomly obscure white patches. They always say exfoliate before using fake tan to make sure your skin is at it's smoothest and freshest - the tan always works better then! I tend to body brush before getting in the shower, then using an exfoliating wash to make my skin as fresh and smooth as possible! 5. Can reduce cellulite. It's not a given but, if you concentrate a little more on the areas affected by cellulite body brushing can improve it's appearance. Not only will it boost the circulation to these areas but it will help 'smooth' the fatty deposits causing the cellulite. It's not a given, heck, even I have cellulite, but it's definatly improved its apperance! 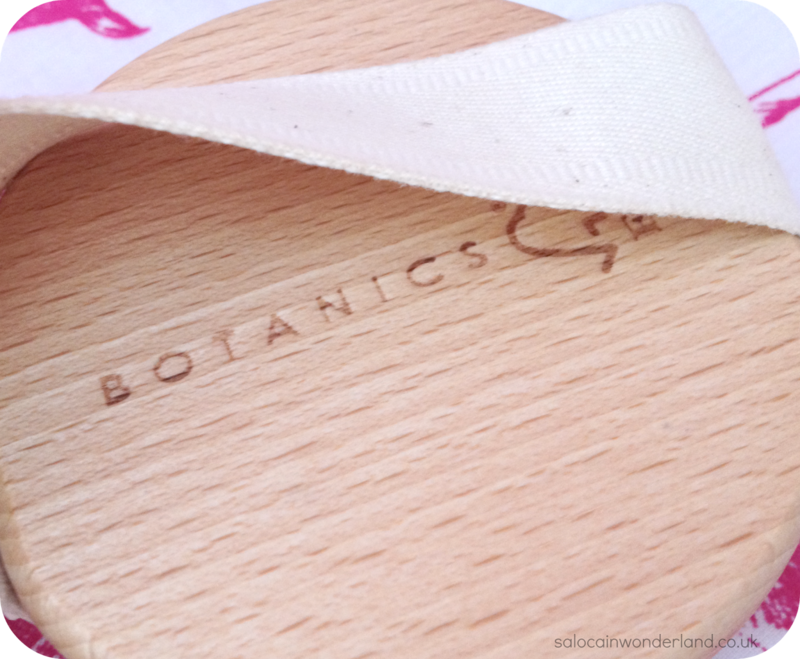 I've always been a fan of the Sanctuary and Boots Botanics body brushes. U have quite small hands and the round brushes fit perfectly int my palm making the whole thing a heck of a lot easier! My hand doesn't hurt and I can work my way around my body in all kinds of wannabe yoga positions to reach all the nooks and crannies of my skin! For your back, you can get loofah like brushes on long handles. When choosing your brush just make sure you pick one with good strong bristles. It'll feel a little uncomfortable at first (and if you have dry skin or eczema you might want to avoid body brushing!) but it'll be worth it - just don't brush too hard. Your sking should not be read or irritated afterwards! When should I body brush? I do it daily. And always before jumping in the shower. Then, to lock in moisture I follow with a full body moisturizer. 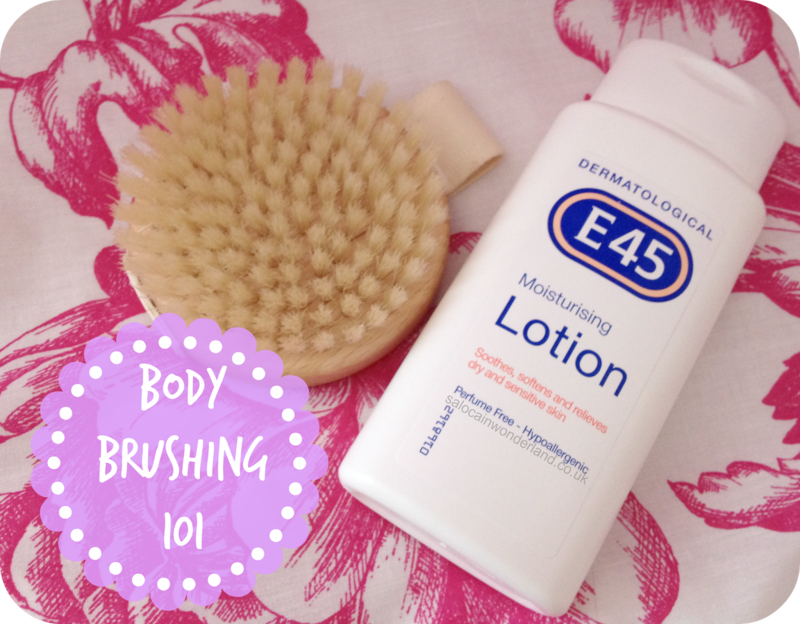 I'm a huge fan of E45, it's fresh, fragrance free, hypoallergenic and quickly absorbed into the skin leaving no grease or residue behind. no matter what other moisturisers I use, I come back t this old faithful time and time again! Do you body brush? Let me know in the comments below! I'm intrigued, how come it's so unpopular? Loofah and body scrubs will do the same job but I don't think it's half as good as a good dry body brushing session! I have never heard of body brushing! I feel like I should of and feel a little embarrassed! 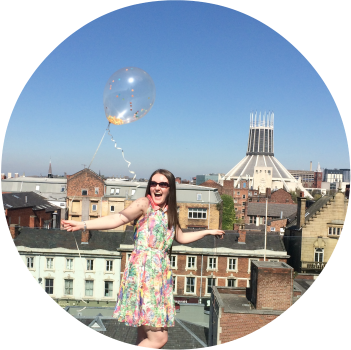 I have that feeling at the moment 'oh I cant be bothered going that extra ten mins of doing the extra skin stuff' but I really should! At the moment my skin is so dry! This sounds just what I need! Don't be embarrassed, so many people say the exact same thing to me! It's well worth giving a go, you can literally go from head to two in less than 5 minutes, even if you just do it before a shower, makes a huge difference!